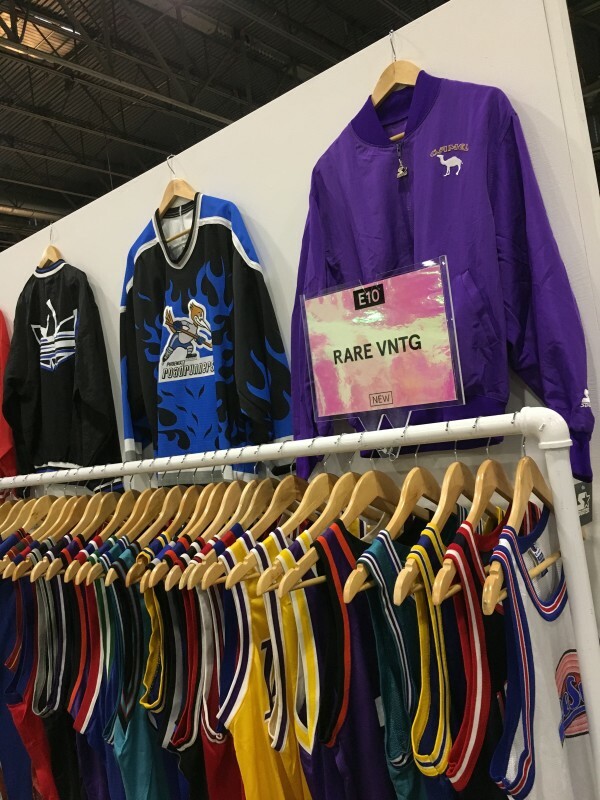 Last week, Rare Vntg invaded Sin City and had the pleasure of setting up at Capsule Agenda trade show August 2017. 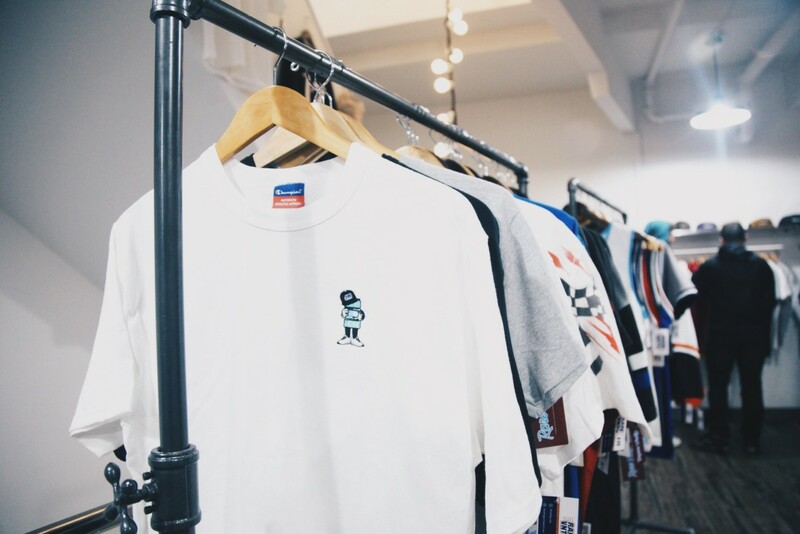 The event was filled with some of the industries biggest brands, buyers, bloggers, influencers & more. 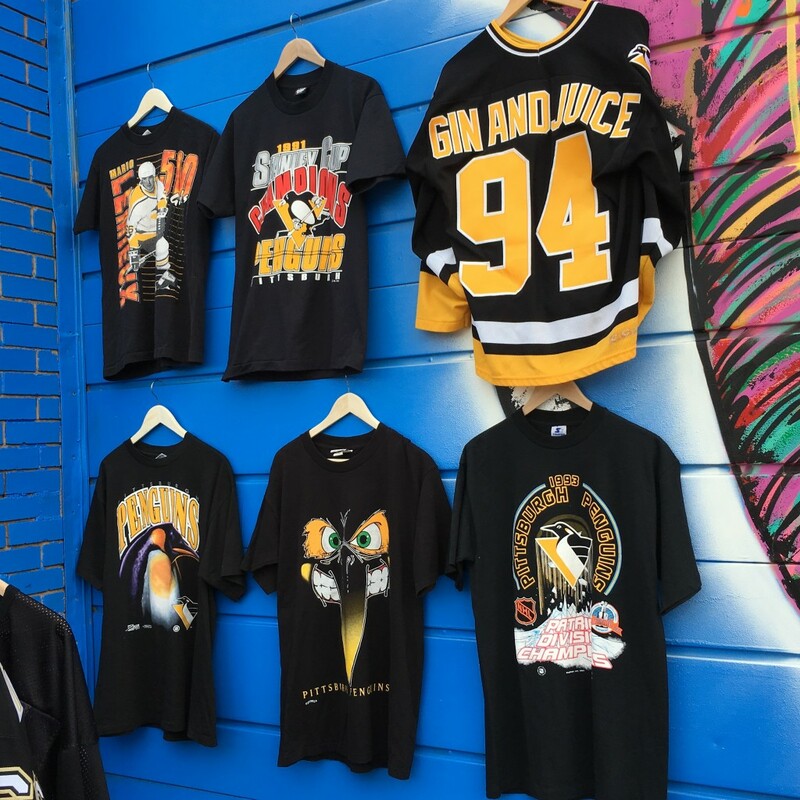 Through the Market Square Cash & Carry section, visitors had the opportunity to purchase one-of-a-kind vintage pieces from a group of premier vintage vendors. 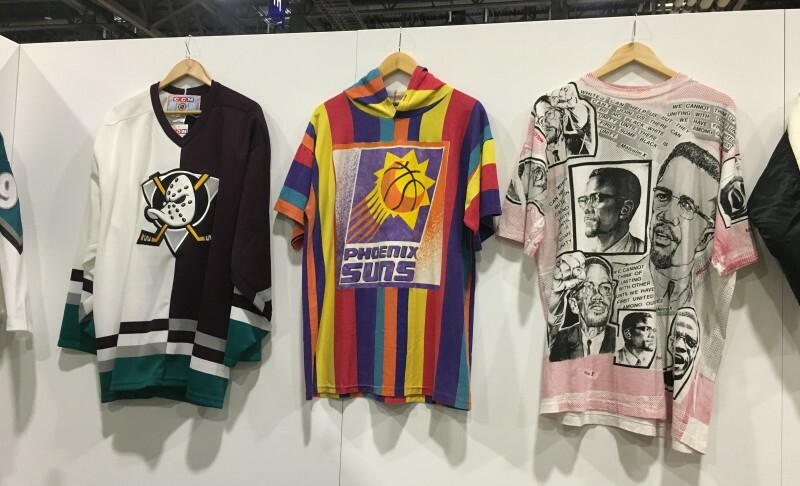 We brought out some true vintage gems including a bright rainbow Phoenix Suns hooded t shirt that had customers loosing their minds! It was a great experience; we met some great people and thoroughly enjoyed our time in Las Vegas. Thanks again to Capsule for such an amazing experience! 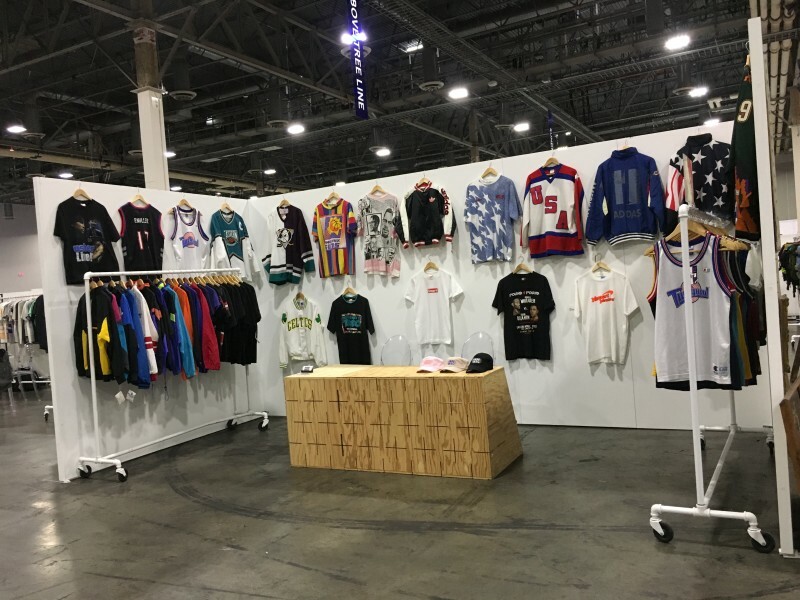 We came to Vegas with some gems! 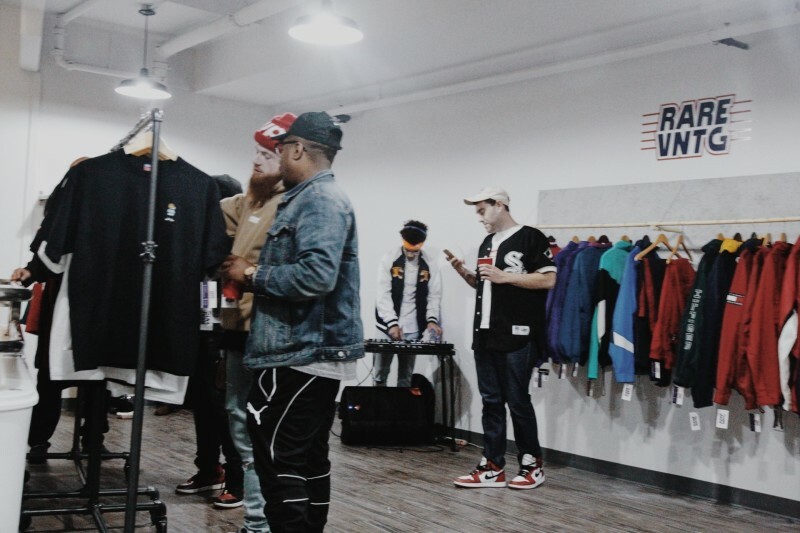 It truly was a movie at the Grail Boutique Pop Up Shop in Philadelphia! 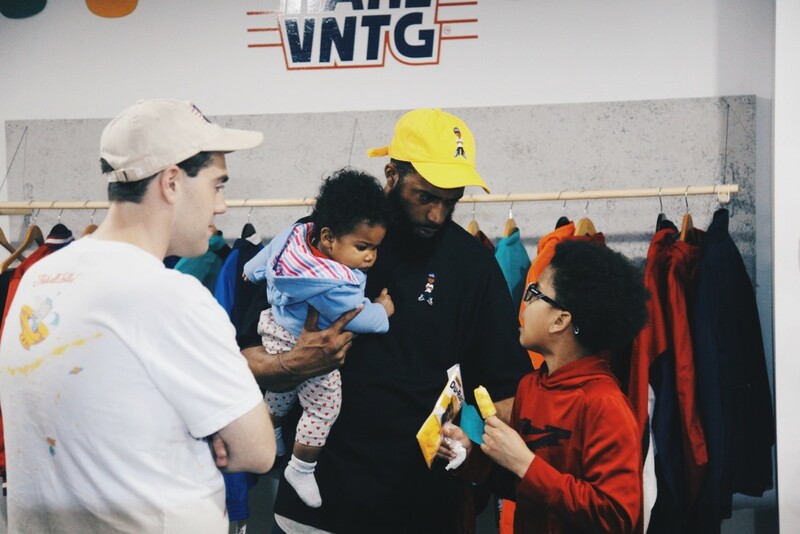 Thanks again to everyone who came out to the shop and party. Check out the video recap below, shot by Double AJ Productions. 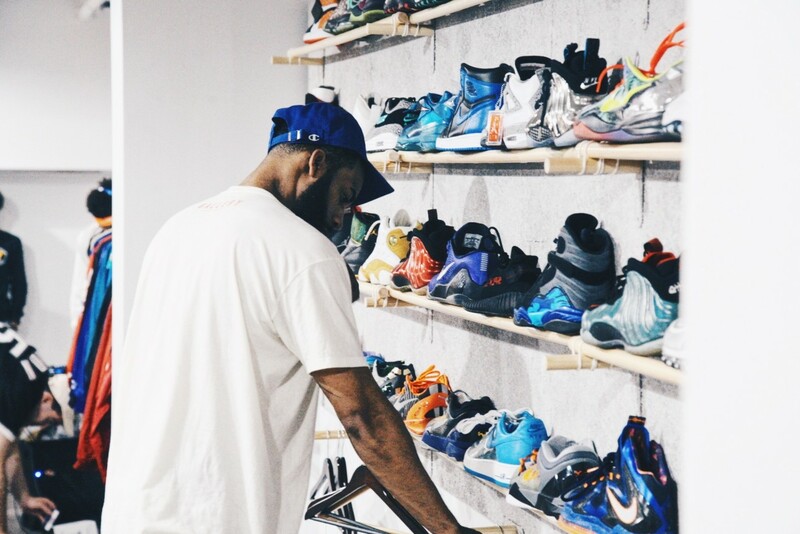 Grail Boutique: Philadelphia Pop-Up Shop from DoubleAJ Productions on Vimeo. It’s 2017 NFL Draft Week here in Philly & we’re bringing out plenty of vintage NFL gear to celebrate! 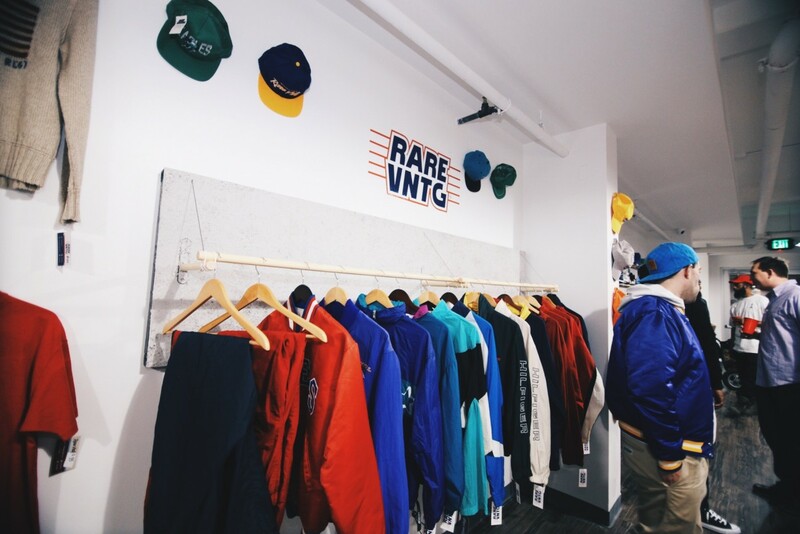 Rare Vntg will be popping up 12-8PM daily (4/26 through 4/29) at Philadelphia Premier Sneaker Boutique Suplex! 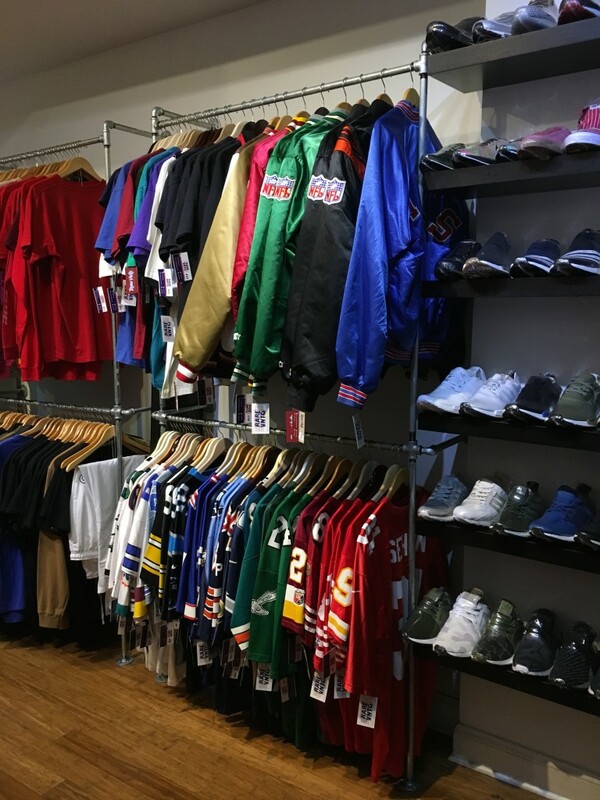 Philadelphia’s premier draft destination for vintage 80’s & 90’s NFL jerseys, Starter jackets, crew necks, t shirts, headwear and more! 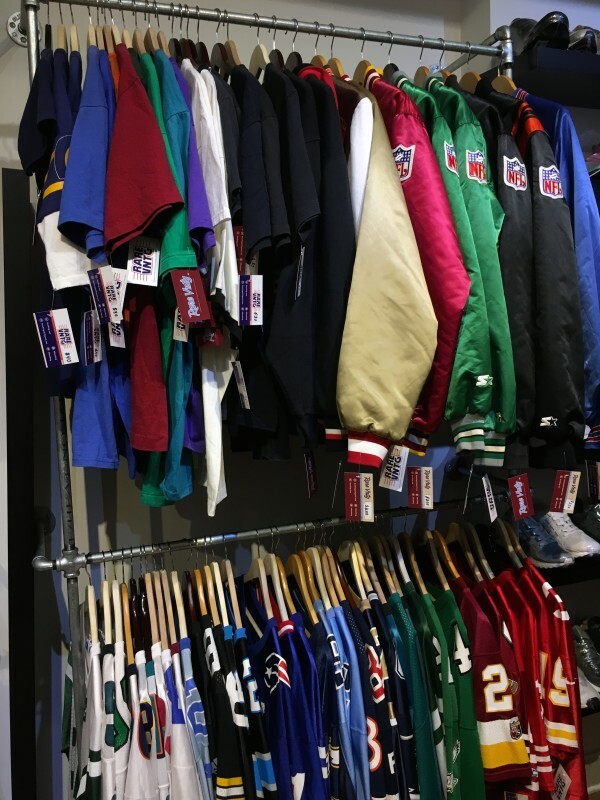 Stop by 624 South Street for all your vintage NFL needs. 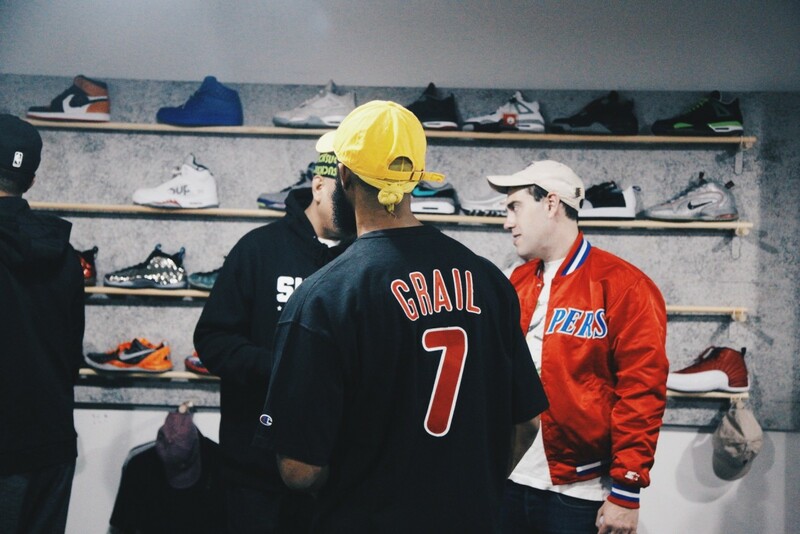 Grail Boutique’s first “Grail Weekend” Pop Up Shop is in the books! 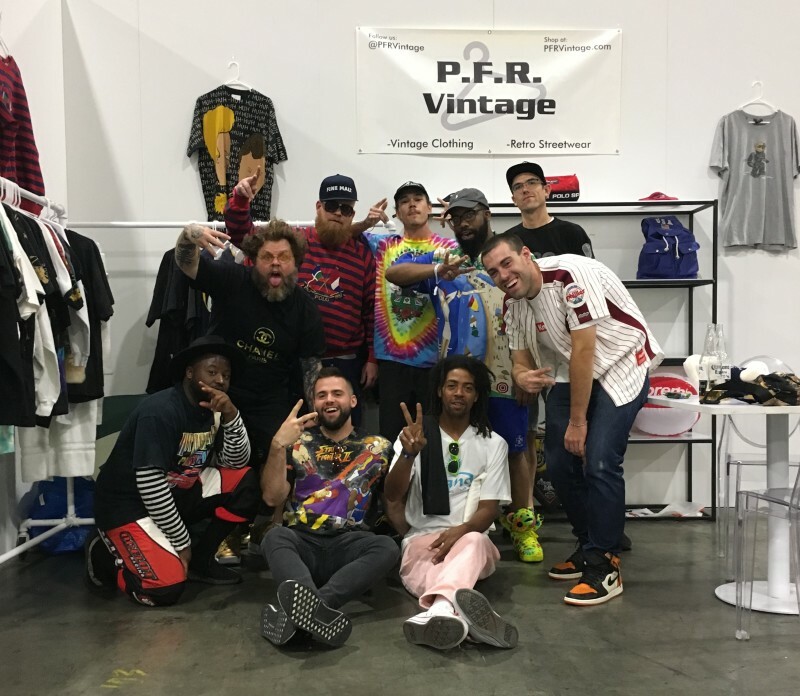 The event was extremely successful, thanks to everyone who came out to support Rare Vntg & the other vendors Suplex Philadelphia, Whimsicle, Prestej & EcoSoelution. 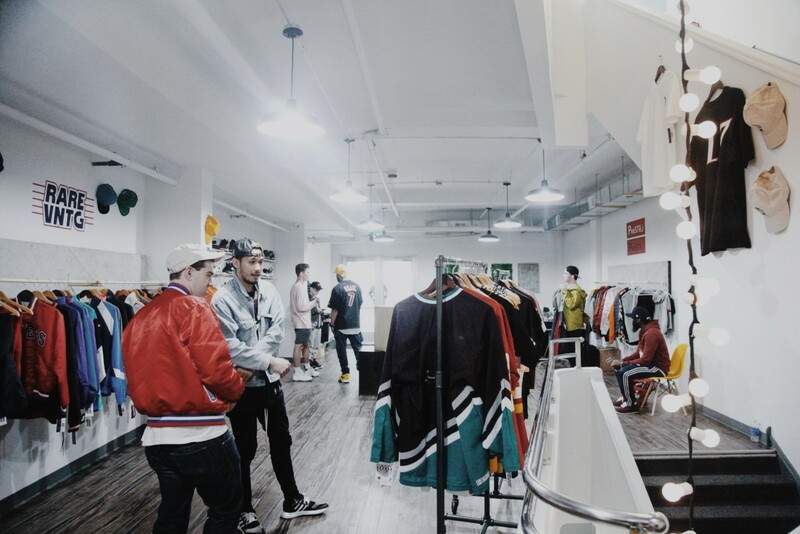 We had the pleasure of meeting a ton of great people, we hope you enjoyed your experience at the Grail Boutique Pop Up Shop. Special thanks goes out to Joynture Philly for the space, Creative Players for holding it down all weekend & thanks to Side of the Road Jerk Chicken for providing food throughout the weekend. 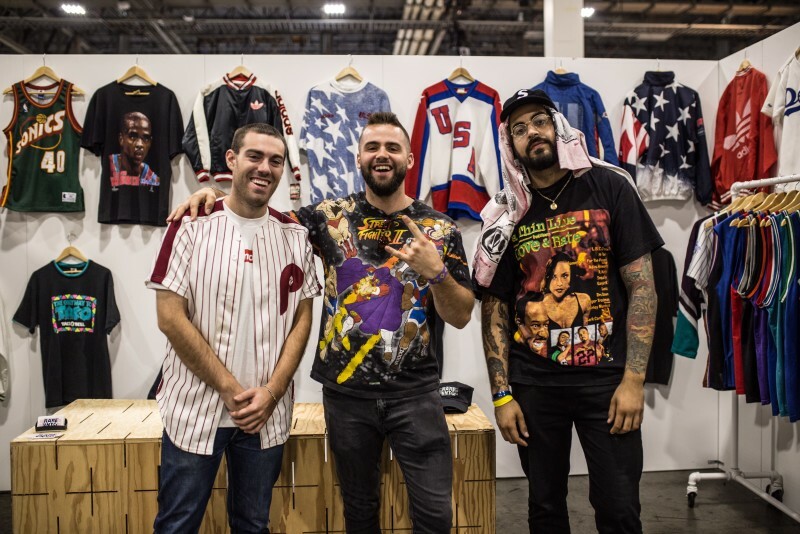 As the Rare Vntg holiday pop up shop with Suplex Philadelphia continues through the holiday season, local filmmaker Brian Nguyen sits down with founder Casey Pitocchelli for a brief look inside the store. Thanksgiving is right around the corner, and one thing is on every shoppers mind; BLACK FRIDAY! 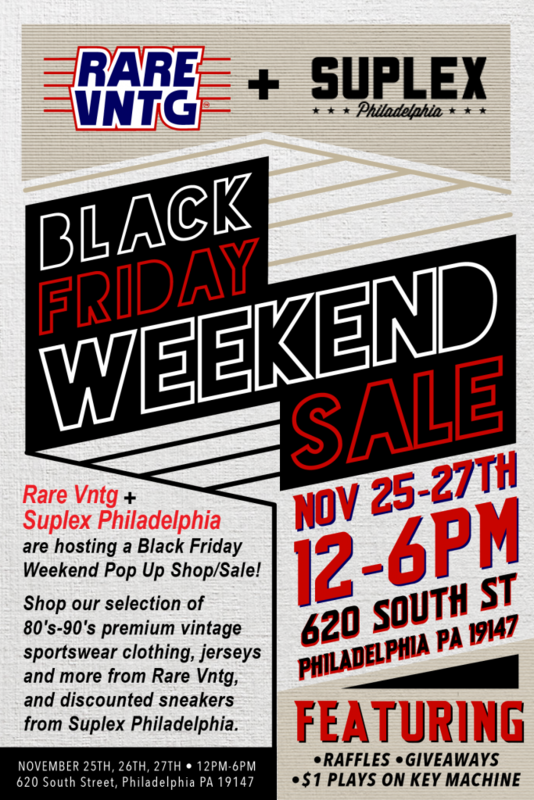 This year, we’re teaming up with Philly’s premier sneaker boutique Suplex Philadelphia to collaborate on a one-of-a-kind Black Friday shopping experience. 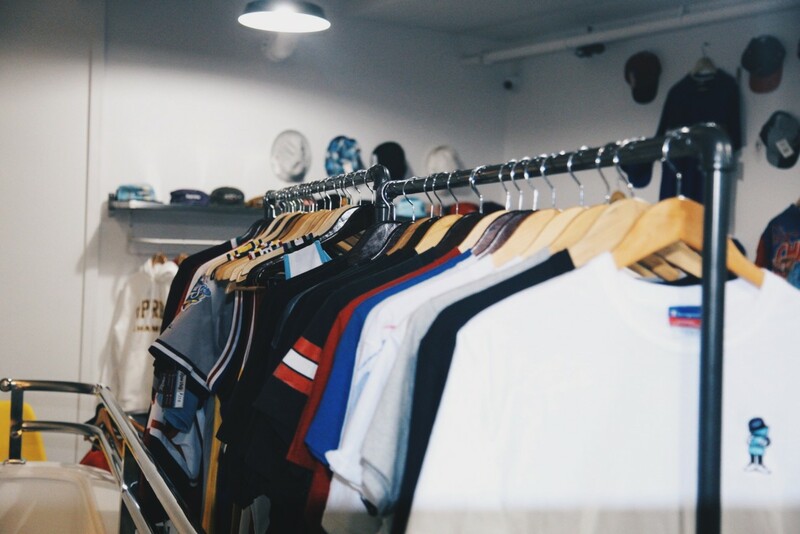 We’ll be offering our inventory of premium vintage sportswear clothing, jerseys, headwear, accessories and more alongside a large selection of discounted sneakers from Suplex. 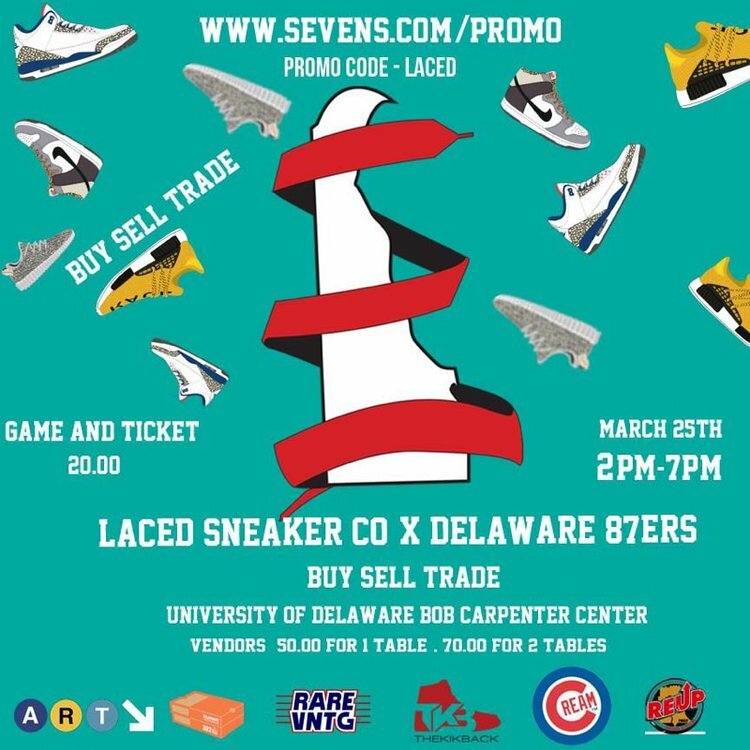 The sale takes place Friday November 25th, Saturday November 26th, & Sunday November 27th from 12PM to 6PM everyday at 620 South Street, Philadelphia PA 19147. We’ll be having raffles, giveaways and $1 plays on the key master machine. Spread the word, we hope to see everyone next weekend! 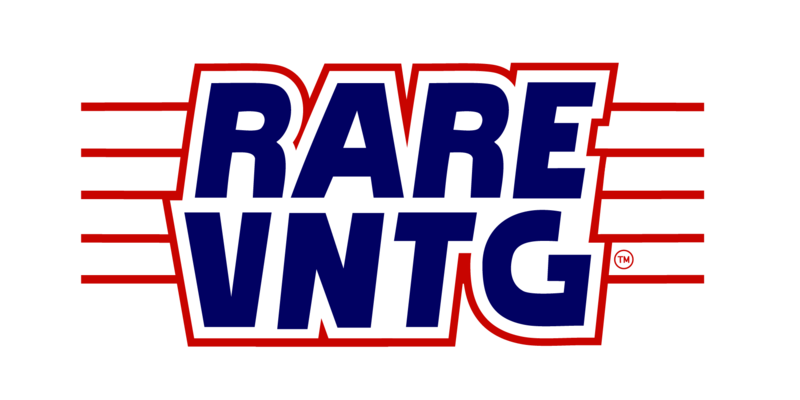 Rare Vntg Back 2 School/Labor Day 2016 Sale Is Now On! Summer’s winding down, the kids are going back to school and were ready to kick of the fall with a huge sale! Starting Friday 9/2, over 100 items have been marked down atleast 50% and were not done with the savings! 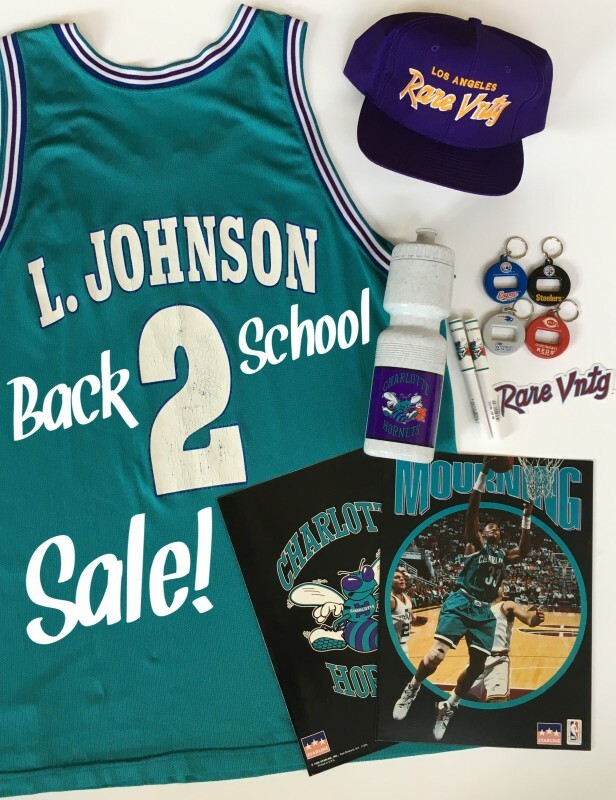 Take advantage while you can, our Back 2 School/Labor Day 2016 Sale ends Monday 9/5 at Midnight! Quack Quack! 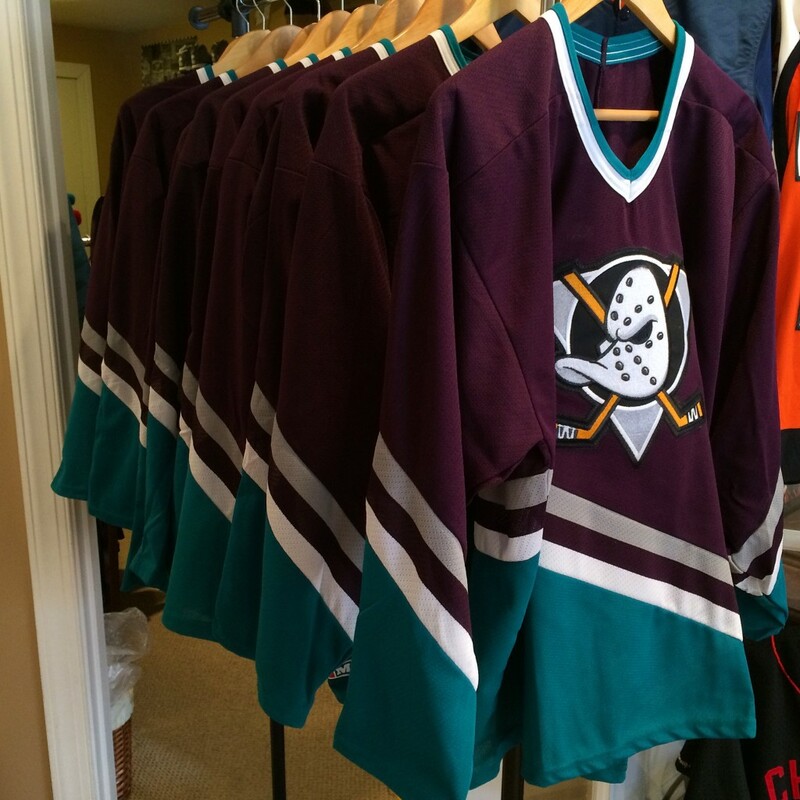 Vintage 90’s Anaheim Mighty Ducks Jerseys Are Back! If you grew up in the 90’s, I can almost guarantee you’ve watched Disney’s Mighty Ducks, D2 and even D3! It was most certainly an iconic movie from everyones childhood. Who can forget the lovable characters, exciting plot lines and oh yeah, most importantly the jerseys! 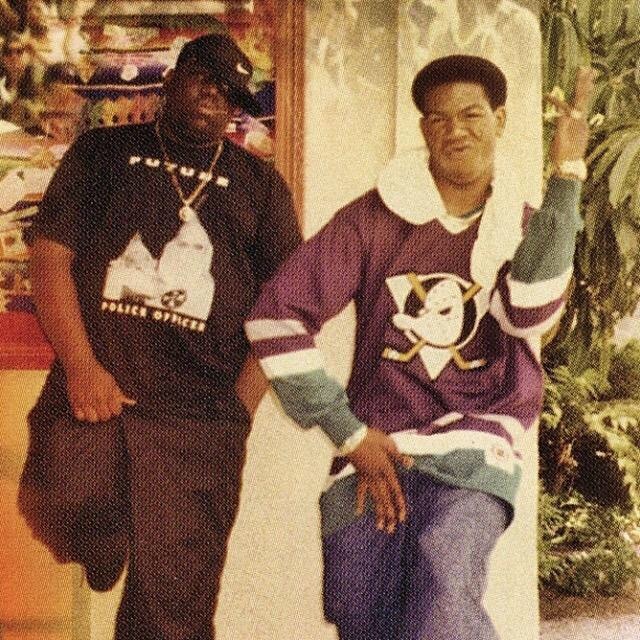 Rare Vntg is happy to announce we’ve just stocked our online store with some DEADSTOCK (that means brand spanking new) original 90’s Anaheim Mighty Ducks NHL hockey jerseys. 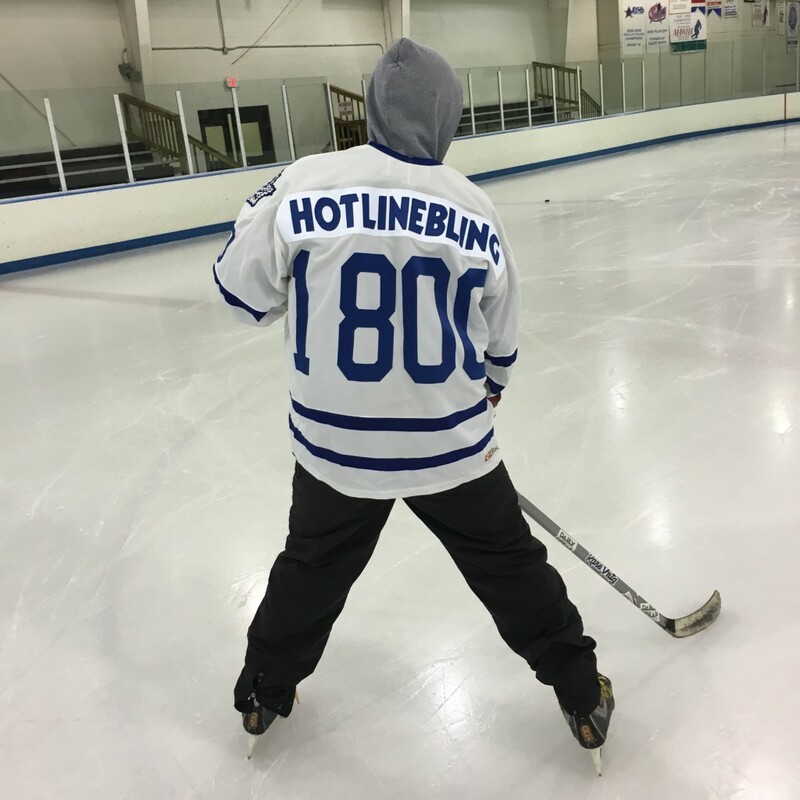 The jerseys are all original and made by CCM. If you’re looking for classic Mighty Ducks players like Paul Kariya click here or Teemu Selanne click here! 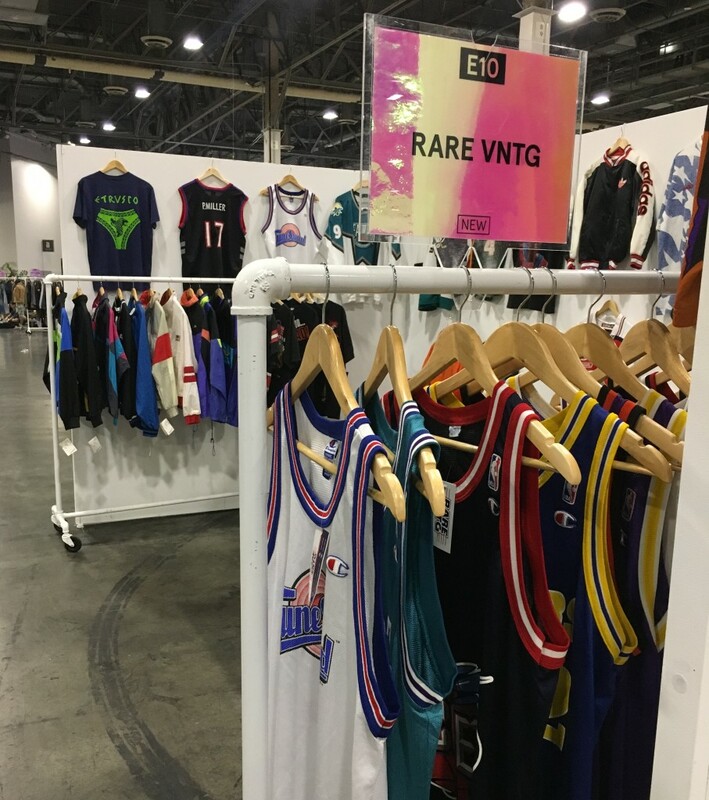 If you’ve been following us since our inception in 2012, you’re well aware that Rare Vntg stocks some of the most hard to find jerseys & vintage sportswear clothing in the world! Unfortunately, the counterfeit jersey market grows larger and larger everyday. 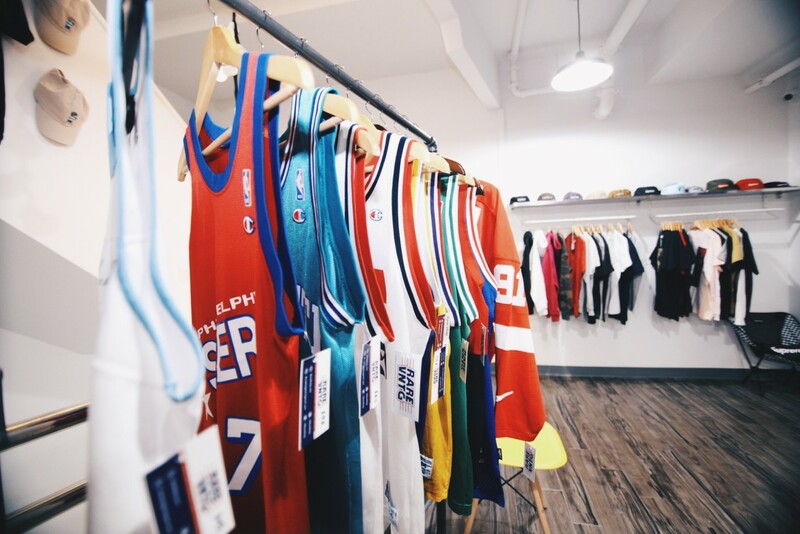 However to combat this, we’ve done our best to constantly stock REAL jerseys for our loyal fans and customers. 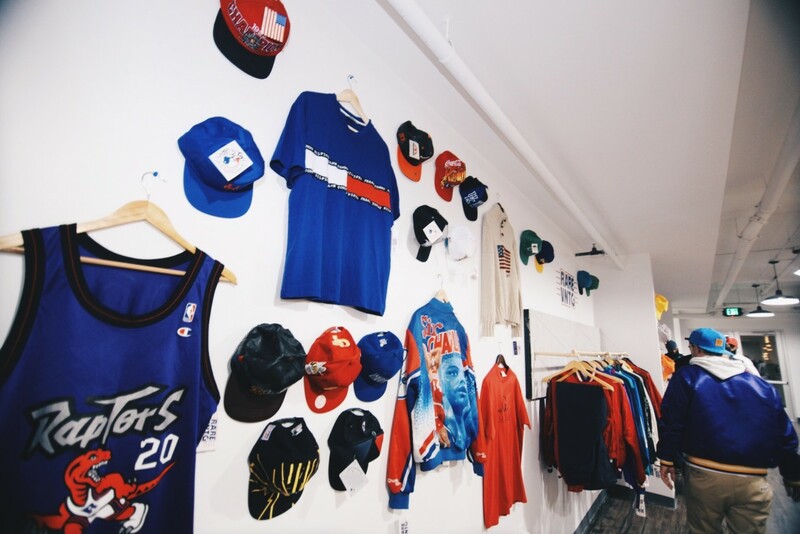 We appreciate everyones business and will continue to educate customers on the history of vintage jerseys & sportswear. 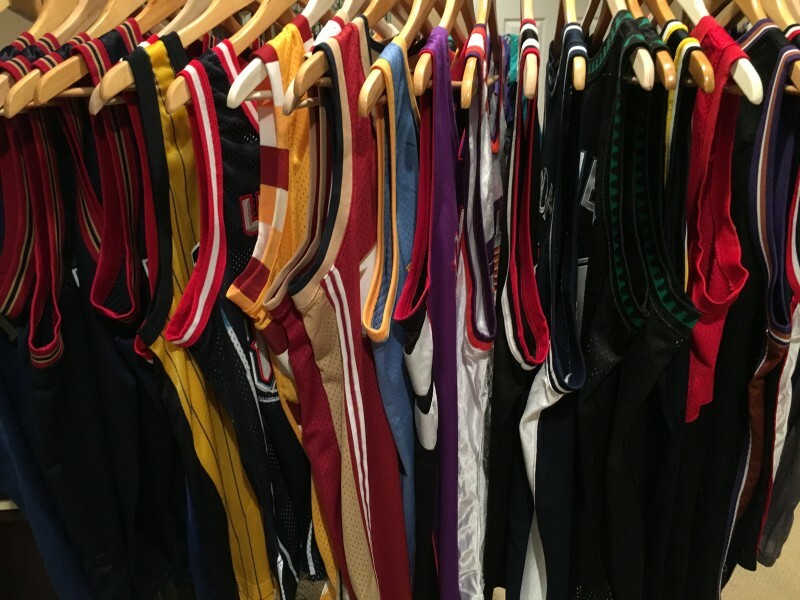 And since summer’s in full swing, we decided to empty our vault and add some more vintage basketball jerseys to our growing inventory. 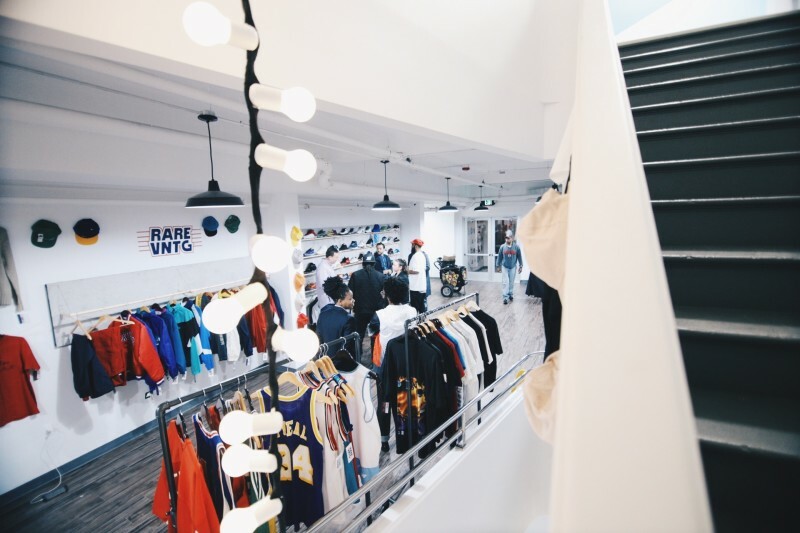 This new release includes everything from Champion replica jerseys, to Nike swingman jerseys, even some Starter authentic jerseys; you won’t be disappointed! 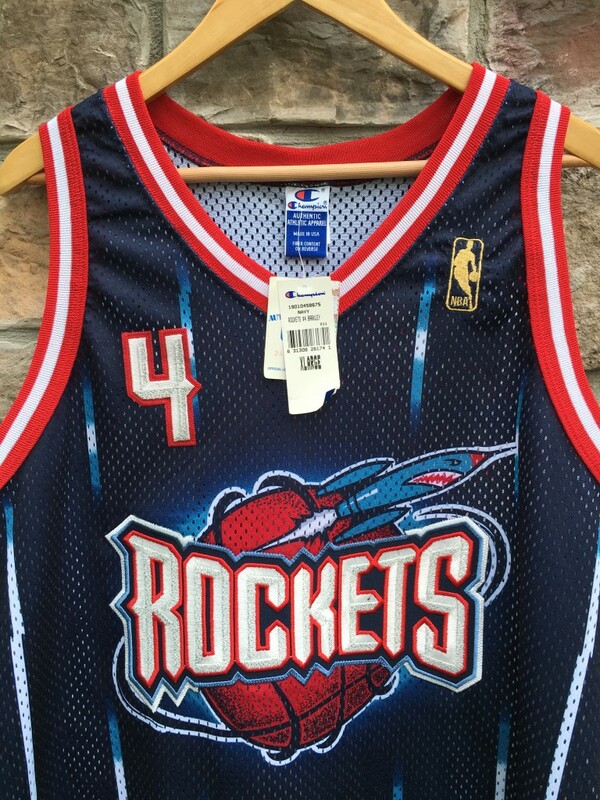 Click here to shop our full selection of vintage basketball jerseys! Yesterday I had the pleasure of hopping on Bacon Sports Podcast 142 with founder Rob Cressy. If you’re not familiar with Bacon Sports, the site is dedicated everything sports, jerseys and pop culture. Check them out today! 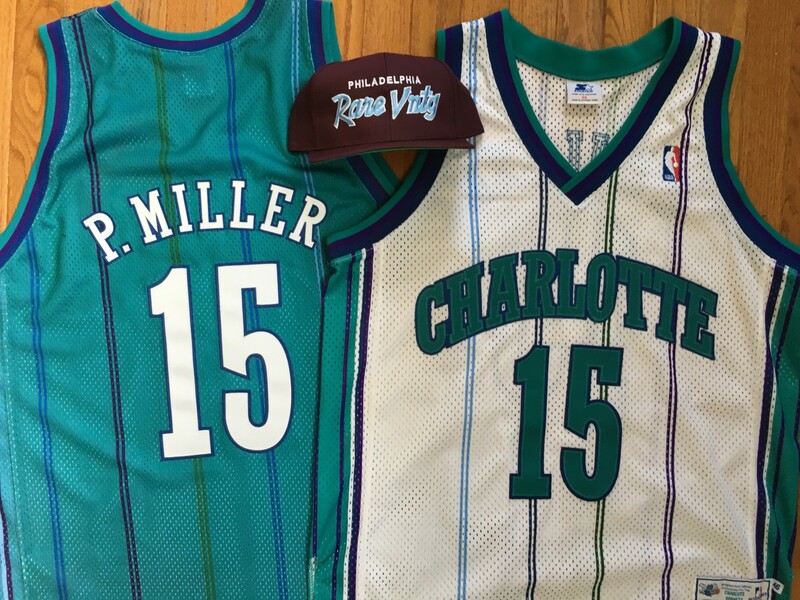 During our chat, Rob and I discuss my infamous Master P Hornets jersey, how I started Rare Vntg, counterfeit jerseys and more. Click here to check out the podcast in its entirety on Bacon Sports. Thanks again to Rob and the entire Bacon Sports team. 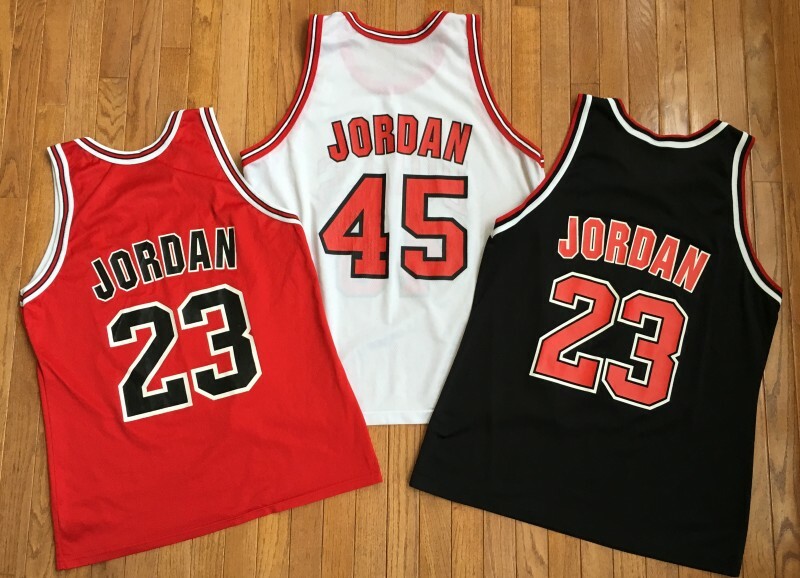 Home, Away or Alternate; Which Jordan Jersey is Your Favorite? 13 years in Chicago and 6 NBA Championships later, Michael Jordan established himself as one of basketball’s all time greats. In a time before sleeved jerseys or Christmas alternates, MJ spent most of his career wearing the familiar #23 Chicago Bulls red, white and black uniform. Yes, Jordan did sport #45 during his comeback season from baseball in 1995, however the GOAT will always be remember for making the number 23 famous. My question today is, which Michael Jordan jersey is your favorite? His home white uniform, the road red uniform or the alternate black uniform that was introduced during the 1995-96 season? 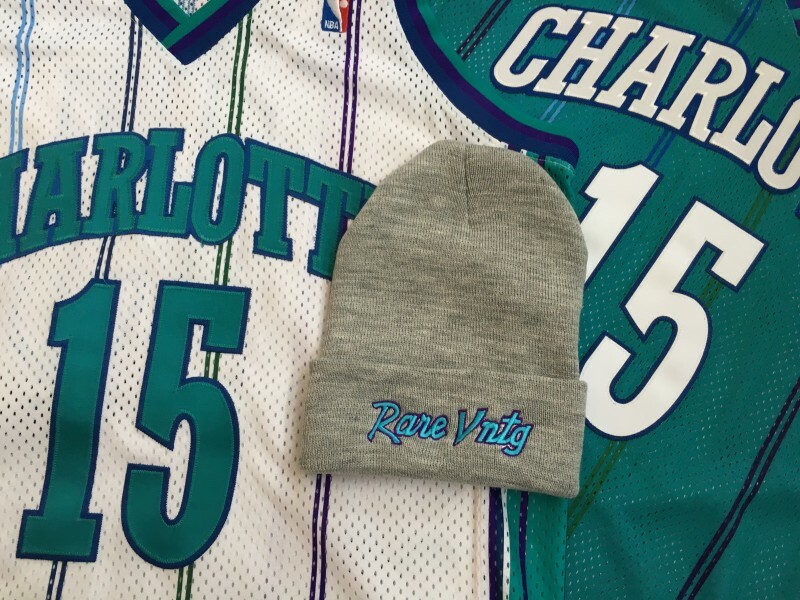 Looking for your favorite vintage Michael Jordan Champion jersey? Click here to shop our current selection! 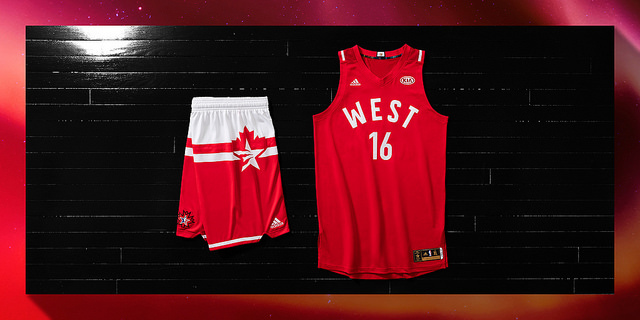 Yesterday, the 2016 NBA All Star Game Uniforms were unveiled for both the Eastern & Western Conference. The pair of blue and red jerseys will be worn on the court in Toronto on February 14th. 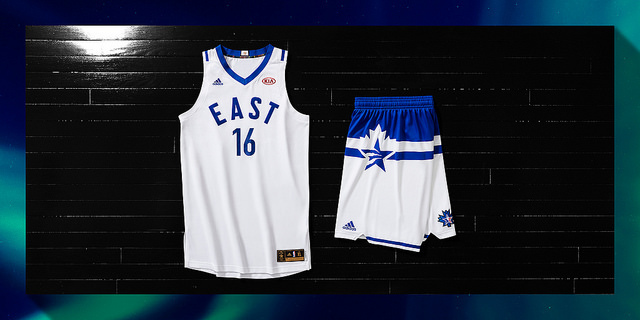 Made by Adidas, each uniform design draws inspiration and pays homage to the original Toronto Huskies jerseys of 1946. I’m certainly a fan of the simple design, as well as the the classic inspiration. 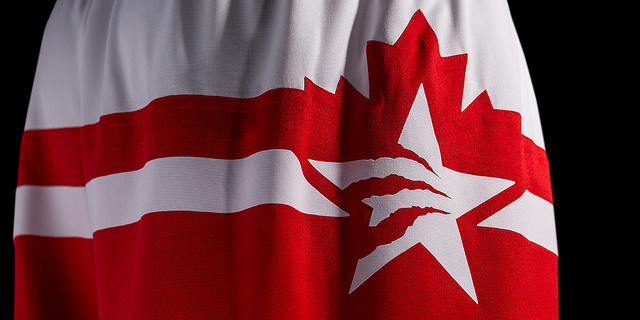 The back of the uniforms feature Toronto’s skyline and many other unique nods to Canada. Interestingly enough, the uniforms will feature a “KIA” patch advertisement on the front. This is the first time the NBA is “testing out” uniform advertising, and yes the jerseys sold at retail will include the Kia ad on the front. 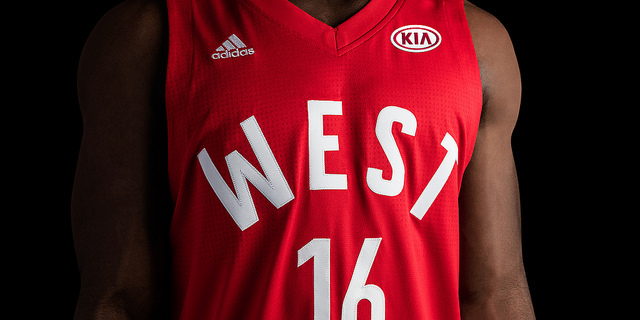 The jerseys feature a KIA AD where Jerry West used to be! 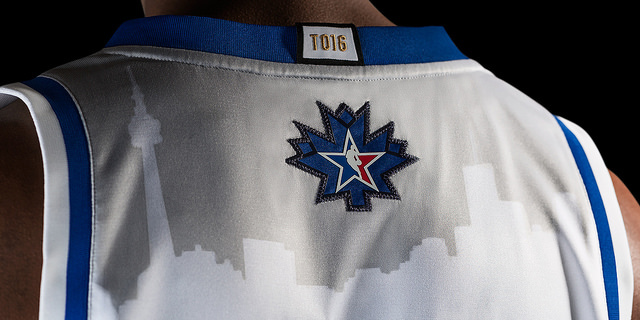 What are your thoughts on the 2016 NBA All Star Game Uniforms? 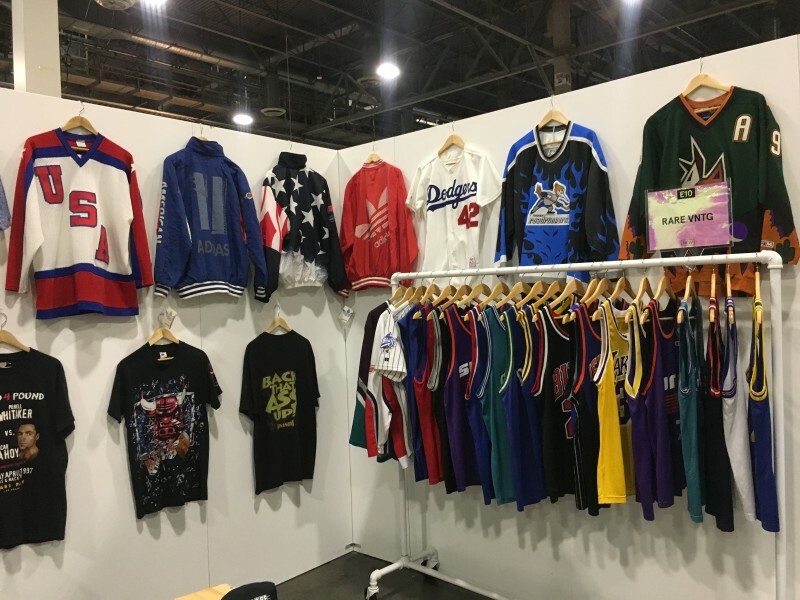 Also, be sure to check out our selection of vintage NBA jerseys for sale here! 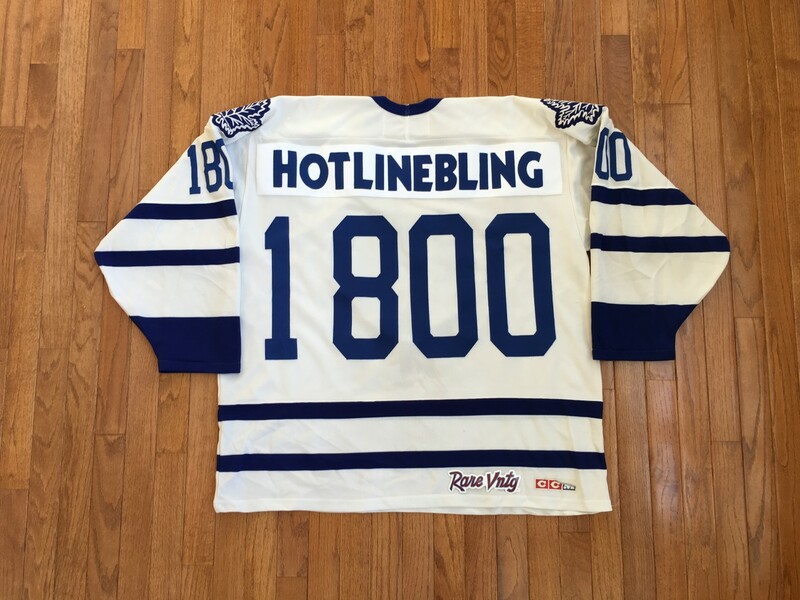 Drake’s single “Hot Line Bling” released this past summer and has been stuck in most of our heads ever since. The song reached number two on the Billboard Hot 100, gaining more popularity after Drake released a music video for the tune in late October. 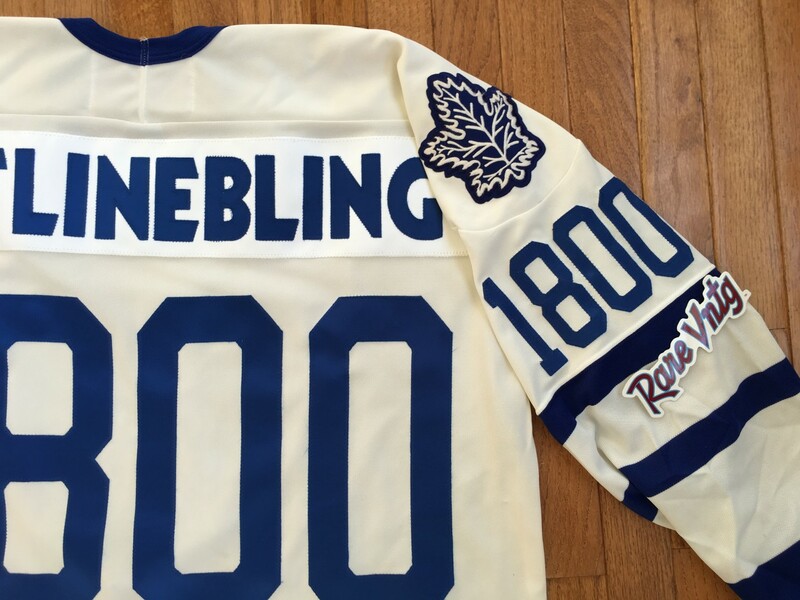 It was only right to pay homage to the Canadian hip hop star with a custom vintage Toronto Maple Leafs Jersey inspired by the song. 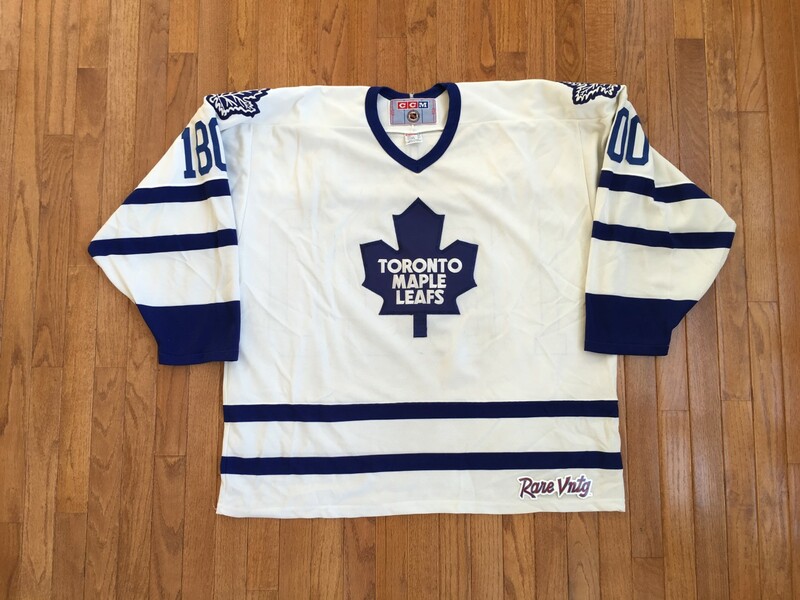 The original Maple Leafs jersey is from the early 90’s and features authentic tackle twill name and numbers sewn on the jersey, a true one-of-a-kind piece for Drake fans! 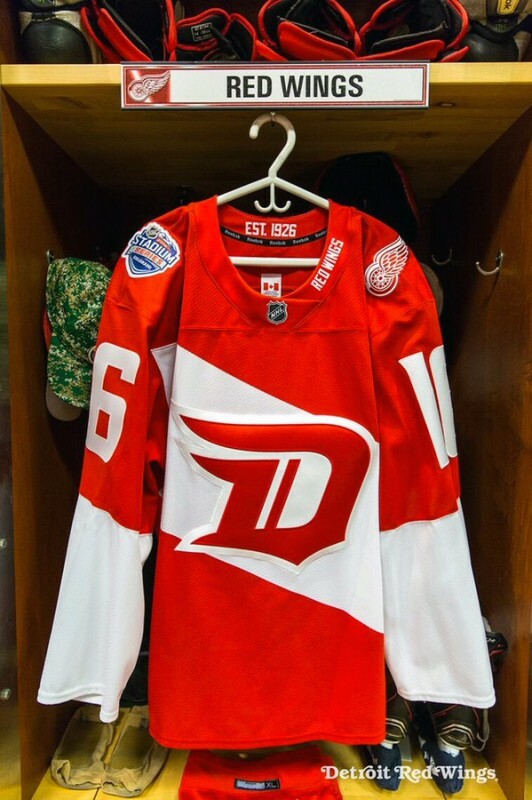 The Detroit Red Wings will hit the ice on February 27, 2016 wearing a uniform many Wings fans couldn’t have dreamed up in their worst nightmare. Considering the franchise has been around since 1926, most were expecting a classic design, or at least some sort of hybrid; that is certainly not the case. 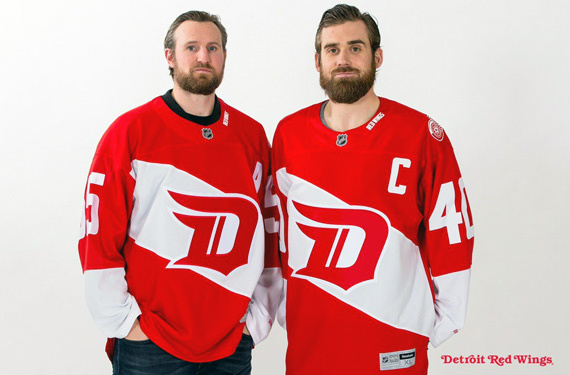 Check out these futuristic uniforms the Red Wings will be sporting on the ice at Coors Field against the Colorado Avalanche in early 2016. If you’re a fan of the classic Red Wings, click here to shop our selection of vintage jerseys & collectables from the Motor City’s hockey team.